Traditional lawns are so twentieth century. Monocultures like these just don’t exist in the natural world. Instead, nature brims with a gorgeous mix of plants that complement each other, are beautiful to look at, and help restore the environment. What’s more, many drought-stricken areas have banned watering grass because groundwater supplies are so low. A growing concern about fertilizer run-off into streams and rivers—which will ultimately pollute lakes and bays—has caused entire regions to ban the chemicals that most conventional turf needs to grow. And then there’s all that mowing! But diverse greenscapes offer the perfect alternative to acres of conventional grass—and when it comes to curb appeal, these sustainable landscapes are far more in vogue than ordinary lawns. But before you plan your lawn-free landscape, think about how you’d like to use that space. Do your kids need plenty of room to kick a soccer ball around? Would you love to grow your own tomatoes? Have you always wanted a cutting garden for flowers? Concerned you need to reduce erosion on a slope? For a playground, plant a hardy grass—and be okay with the fact that it will soon be invaded by weeds. You’ll have to keep it mowed, but don’t worry about fertilizing or watering it. Weeds do much better in heat and drought than grass does, often staying very green while grass withers. And thankfully, kids don’t know the difference between weeds and grass—they can as easily play tag on Kentucky Blue Grass as they can on crabgrass. 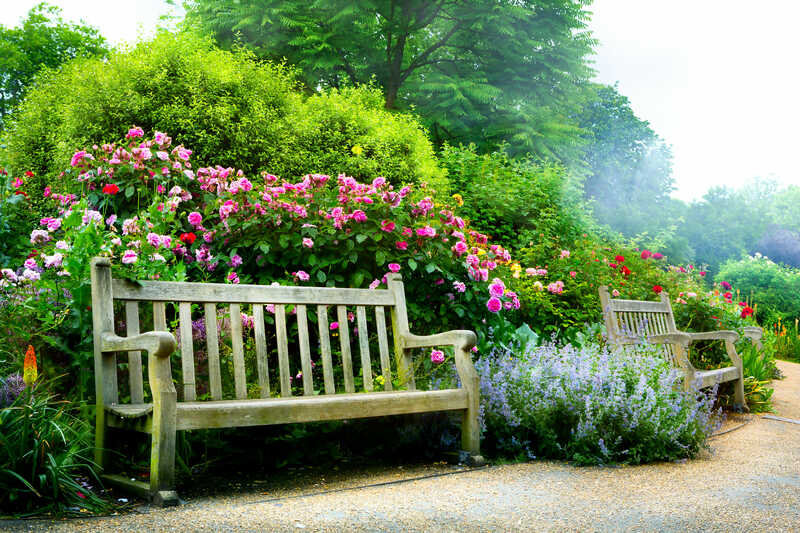 If you get the greatest pleasure from experiencing the natural world, ditch the sod for a mix of native groundcovers, low-maintenance perennials, stones and statuary, benches for sitting or meditating, a birdbath, and even a bird feeder. Consult with your county extension service to identify native plants that will require little work and attract birds and butterflies. Also, choose plants that will bloom successively at least three seasons out of the year, if not four, so there is always something to admire and inspire. You can really dress up your landscape by replacing a boring lawn with ornamental grasses, perennial flowers, and a native variety of plants, bushes, and trees. Use winding paths for a whimsical touch, and divide the landscape into a few sections—each with their own focal point. If you like the pops of color you get from summer annuals, reserve small beds, containers, or flower boxes for banks of impatiens, begonias, calladia, geraniums, marigolds, or zinnias. Use a well-placed piece of sculpture to add more visual interest. Grass doesn’t generally grow well in shade anyway, so you’re better off replacing it with plants that thrive in low light. In an area that is shady and moist, and doesn’t get a lot of traffic, consider planting a moss bed. Glechoma hederacea, also known as creeping Charlie, ground ivy, or cat’s foot, works well, too. It’s a member of the mint family whose small pale blue or lilac-colored flower will brighten up the ground it occupies. Sweet woodruff dies back in the winter, but makes a lovely groundcover the rest of the year and blooms with lacy white flowers in spring. Liriope boasts a beautiful lavender flower and makes a charming border plant—though it does spread, so keep an eye on it. Clover is a persistent plant, but it attracts bees, so it’s usually not the best plant to cultivate if you want to walk around in your yard. On the other hand, perennial flowers attract birds and insects, bloom from early spring to late fall, and add textual variety because they come in so many shapes and sizes. 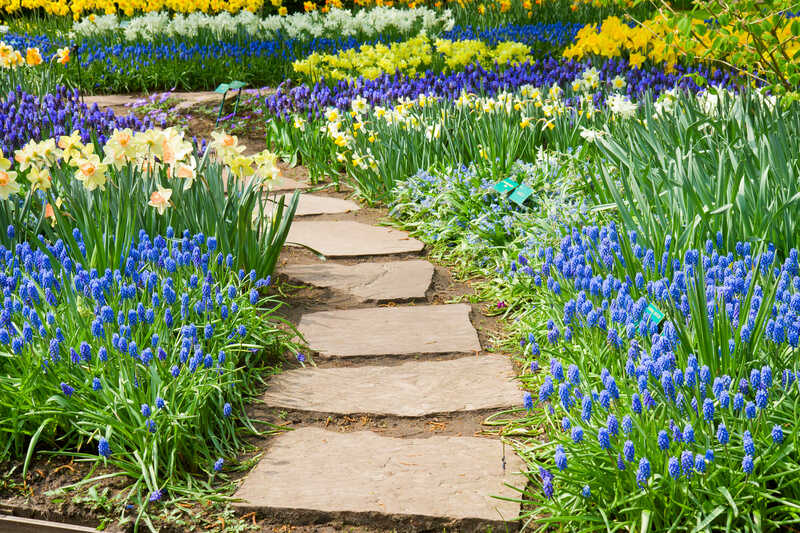 Most seed catalogs offer planting directions for different sizes of flower beds, so don’t worry—you don’t have to come up with a design on your own. 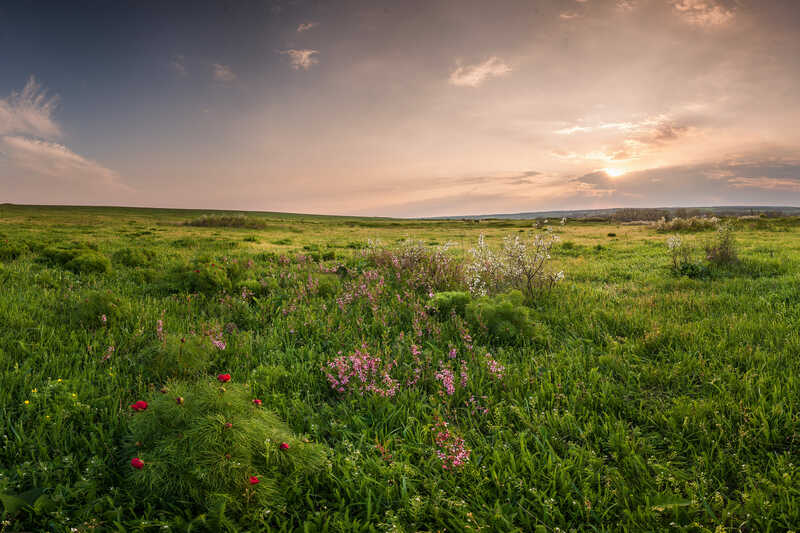 For a very low-maintenance alternative to lawn, consider planting a meadow. Sedges grow in virtually every USDA hardiness zone, so you should easily be able to find species for your yard. Leave the space unmowed if you like the naturally unkempt meadow look, or mow a few times a year to make it look more like a lawn. Joe-Pye weed adds height to a grassy landscape—it will grow taller with plenty of water, or maintain an average of 4 feet under drier conditions. 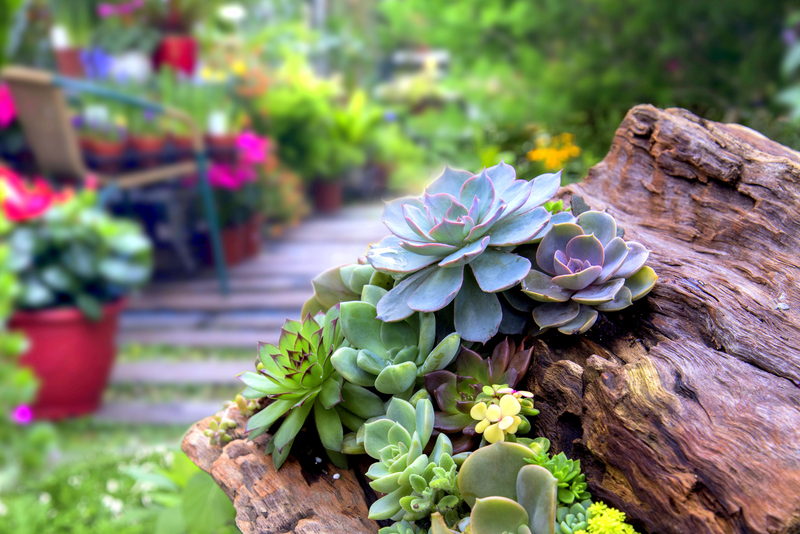 Check your county extension office for a list of the types of plants that will thrive under your moisture, sun, and soil conditions. Many communities are encouraging homeowners to convert their lawns into vegetable gardens. If you have enough sunlight for grass, you probably have enough for cucumbers and string beans. Build some raised beds, or convert your sod to garden soil. 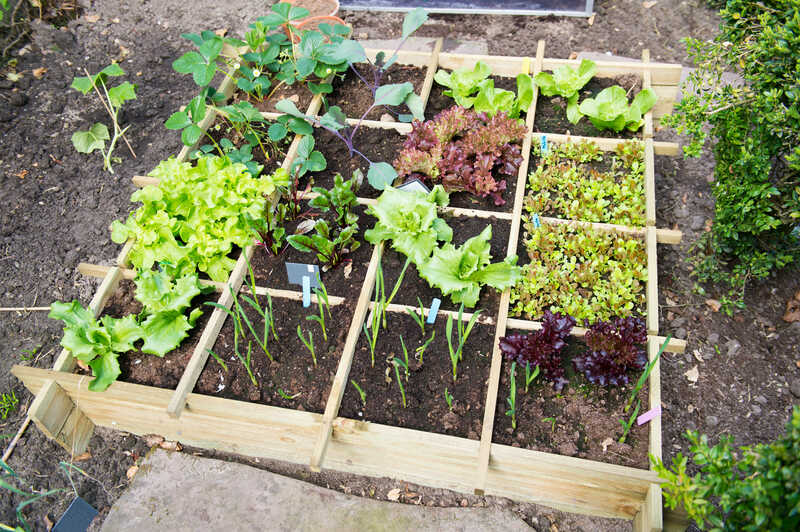 Plant a “lettuce to pumpkins” plot that gives you a succession of vegetables you can harvest from soon after the last spring frost until the first autumn one six months later. What are your success stories of planning and maintaining a grass-free lawn? We’d love to see your tips and photos in the comments below!